Have you always dreamed of living on a flowing natural river, one not overrun with water skiers and partying ''tubers''? Your own piece of heaven where you can drop a line in the water any time you want, watch the otters play, and enjoy a cool breeze and relax? 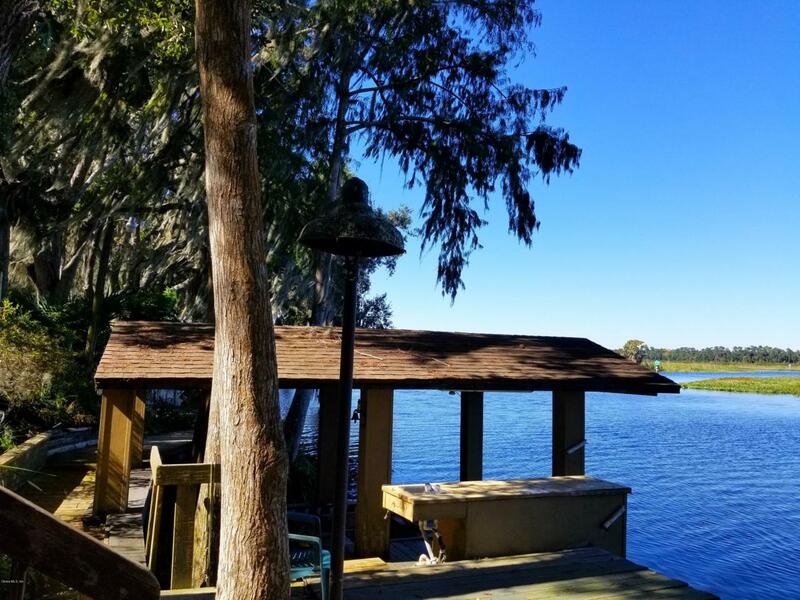 This River front home on deep water channel, located on Withlacoochee River area of Lake Rousseau in Citrus County is the answer to your dreams. This area once held the record to the World's Largest Bass but is also a short drive to the Gulf of Mexico. Home has been updated, spacious 3 bedrooms, 3 full baths and inside laundry and office/hobby (with separate entrance). Don't worry about flooding... home is on bluff 15', more or less, above the water! Home has spacious dining area and spacious living room... Cont'd...with a family room (w/fireplace) over looking the water. A large enclosed screened porch, it doesn't get any better at this price! Almost new roof and HVAC! Upgraded kitchen cabinets, snack bar, and stainless steel appliances. Docking area offers a covered boat port and open dock tie ups, viewing deck, along with electric and outdoor lighting too. Even a place to clean your fresh catch! Private wrought iron gates at road entrance to property. Within 15 minutes of hospital and Crystal River. Listing provided courtesy of Cynthia Fowler Head of Roberts Real Estate Inc.